Arab media outlets claim Israeli fighter jets hit targets in Syria. Arab media outlets claimed Sunday evening that Israeli fighter jets hit targets in Syria’s Hama province. 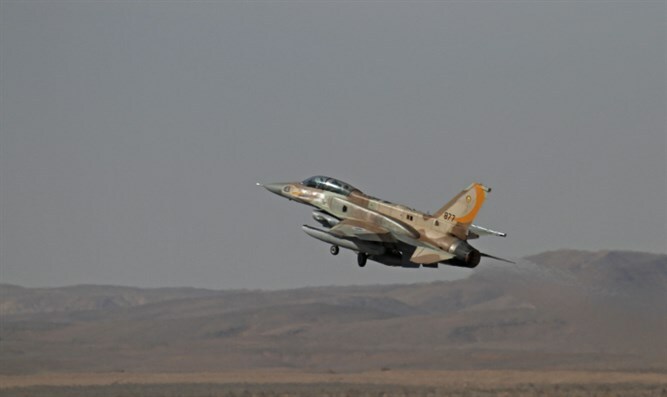 Lebanese media outlets claimed that Israeli aircraft were spotted over Lebanese airspace, while Syrian sources claimed that targets had been hit Sunday evening outside of the city of Masyaf, located in the Hama province in northwestern Syria. Unconfirmed reports claimed that the targets hit included weapons development centers run by the Assad regime. Other reports say that the target was a center for researching chemical weapons. The Israeli military has not responded to the claims. Syria's official media outlet, SANA, confirmed reports of the attack.